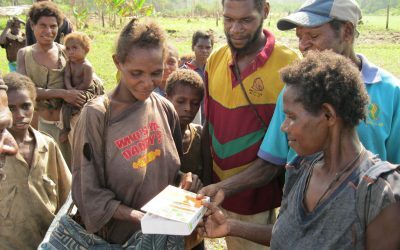 Paul Woodington is one of two pilots flying in the remote Wewak region of northern Papua New Guinea – where there are no proper roads and people regularly travel over severe terrain. What’s so exciting about a cheap plastic toolbox? 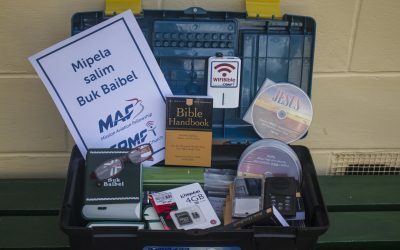 Well, it’s what we use to store bibles and other Christian resources to take to sell in the communities we visit. We heavily subsidize them to reduce the costs to something they can afford.